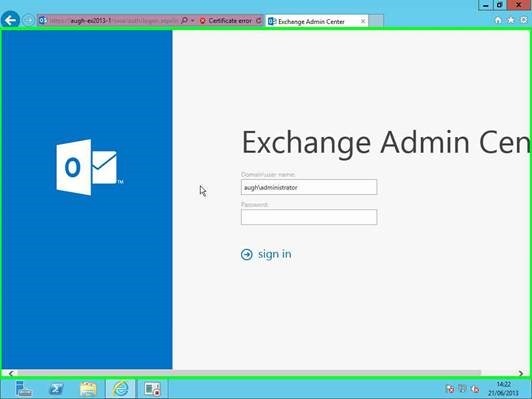 Step 2: Browse to the Exchange 2013 ECP URL and log in with an administrative account. 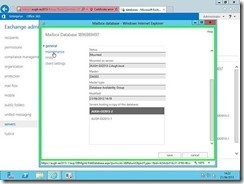 Step 4: Select the database you want to enable Circular logging for and click “Edit”. 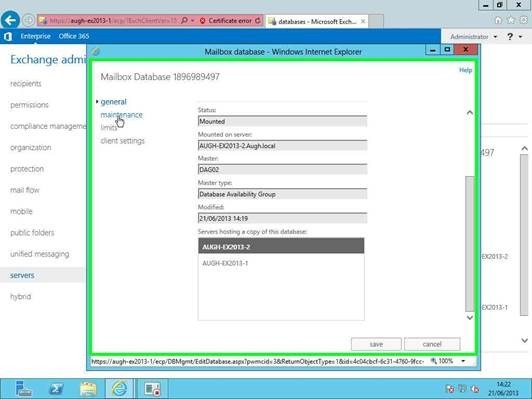 Step 5: Left click on "maintenance "
Step 6: Left click on "Enable circular logging"
Step 7: Left click on "save "
Nice clear instructions but you should be clear that the message upon 'save' is you must dismount and remount the database for this to take effect. 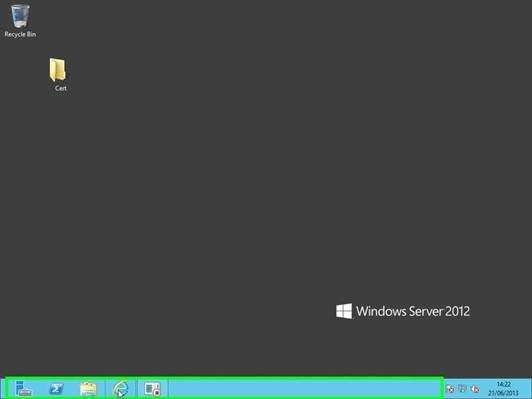 This therefore should not be done during production hours. 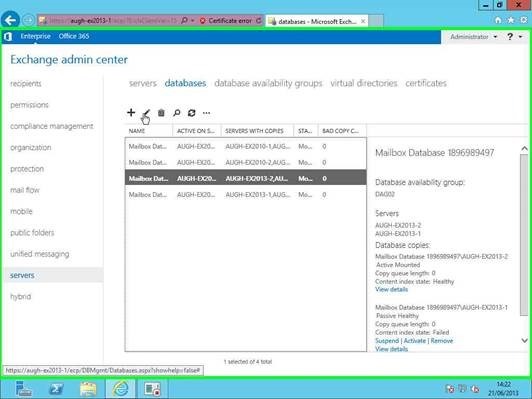 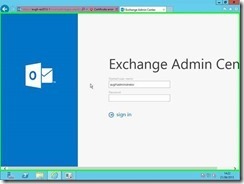 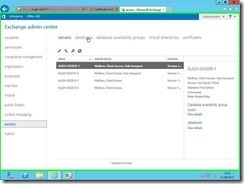 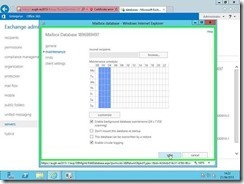 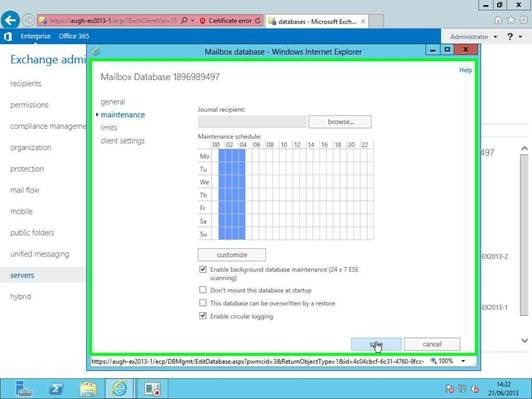 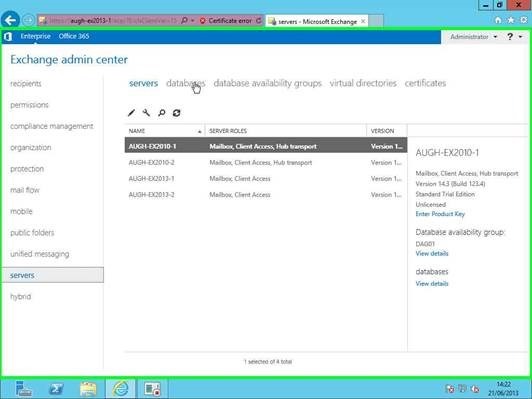 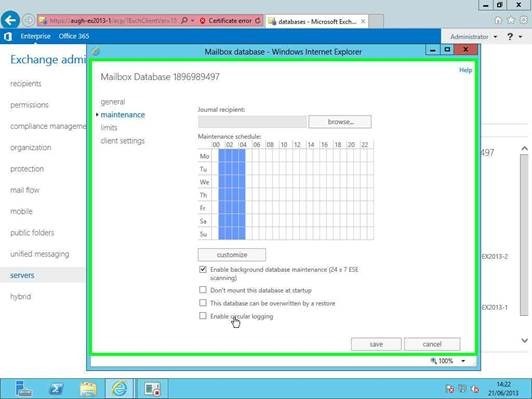 Remounting the database is not required with Exchange 2013. 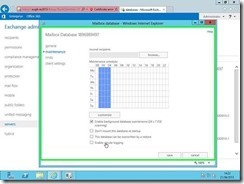 Powershell notes the following when enabling circular logging: "WARNING: Circular logging parameter change will not be applied on this database before it is remounted." 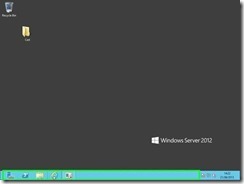 Additionally Microsoft continues to reflect the need to mount and dismount the database for this change to go into effect. If you have a replicated database you will not required a remounting of the database.